Oil fingerprinting is a crucial technology to trace the sources and behaviors of spilled oil. The use of dispersants enhances the stay of dispersed oil in a water column and changes the important properties of spilled oil. In case of fingerprinting of dispersed oil driven by dispersants, the fate and behaviors of biomarkers may be affected by the application of dispersants. 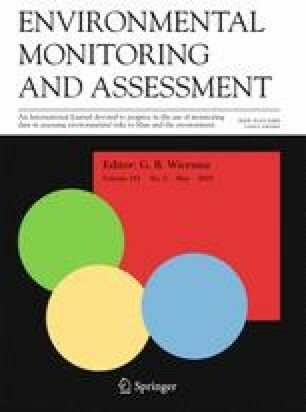 Limited studies have investigated the statistical difference between fingerprinting of dispersed oil and non-dispersed oil using biomarkers, and the possible influence of the differences, if present. This study applied several principal component analyses (PCA) to differentiate weathered chemically dispersed oil from weathered crude (non-dispersed) oil using 103 diagnostic ratios of the same type of biomarkers and those of two types of biomarkers as input data. It showed that weathered chemically dispersed oil (CDO) can be differentiated from weathered crude oil (WCO) using specific diagnostic ratios that are affected by weathering. PCA analyses indicated the effects of the application of dispersants and weathering duration on weathering of biomarkers in CDO and WCO. The online version of this article ( https://doi.org/10.1007/s10661-019-7392-5) contains supplementary material, which is available to authorized users. The authors acknowledge the Natural Sciences and Engineering Research Council of Canada (NSERC), Canada Research Chairs (CRC) Program, Canada Foundation for Innovation (CFI), Fisheries and Oceans Canada (DFO), and Environment and Climate Change Canada (ECCC) for their kind support.